Palazzi dei Rolli is a group of palaces in the historical center of Genoa, especially along the so-called Strade Nuove, built by the Genoese aristocracy at the peak of Genoa's economic power in the 16th and 17th century (Via Giuseppe Garibaldi, formerly Strada Nuova or Via Aurea, Via Cairoli, formerly Strada Nuovissima, and via Balbi). From the 163 palaces located in Strade Nuove, 42 are included by UNESCO in the World Heritage Patrimony, because of their architectonic and historic peculiarities. In Via Balbi, a 17th century street built by Balbi family for their residences, there is a very interesting building, il Palazzo Reale or Palazzo Balbi-Durazzo. The residence was built by Balbi in the begining of the year 1600, and given an inheritance to Eugenio Durazzo in 1677, who transformed it in an impresive Baroque-style. After the fall of the Genoese Republic in 1822, it was possesed by Savoys who transformed it in their Royal Residence. Since 1922 the property is owned by the state and houses the National Gallery of Royal Palace and the Liguarian department for Artistic, Historic and Archaeological Heritage. The building has 23 rooms, chapels and galleries. They include originals furnishing, decorations in Baroque style, paintings, frescoes and antique objects very well preserved. The most significant rooms are the Apartments, Galleria dei Specchi, Sala del Trono, and Salotto del Tempo, which faces a monumental terrace with a sea view. 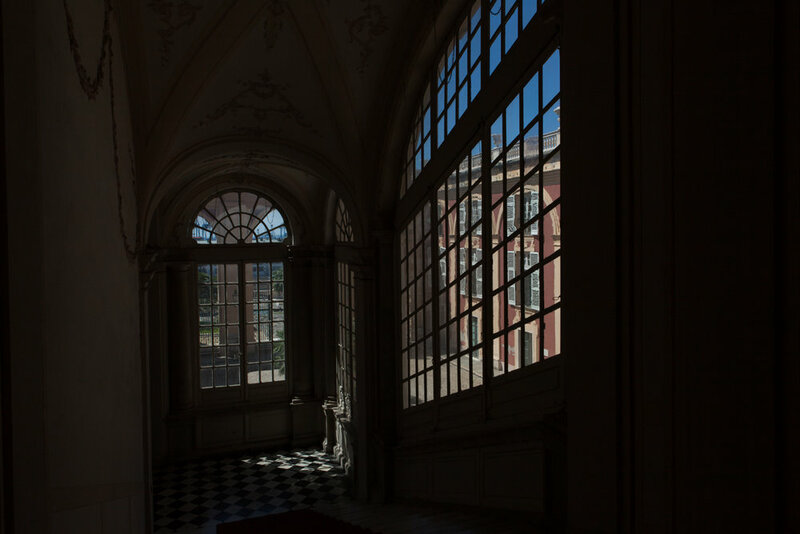 In 2006 this palace became an UNESCO World Heritage and is enlisted as a palace of the Rolli of Genova. 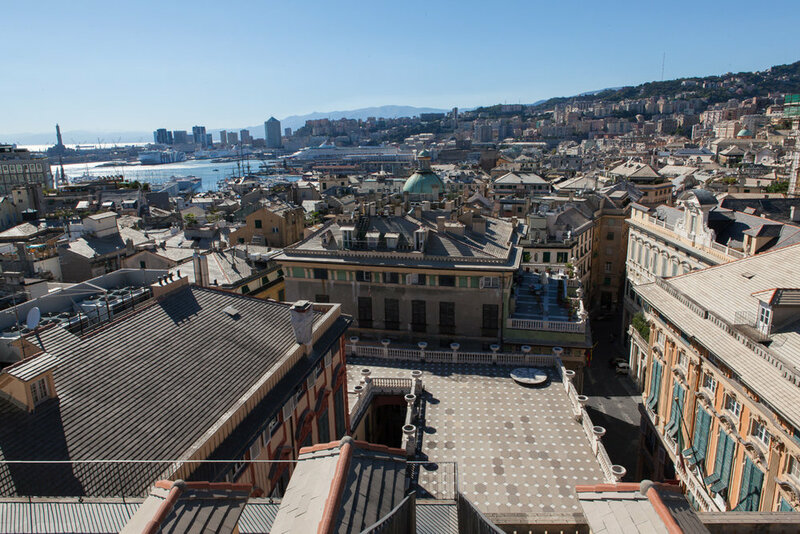 Strade Nuove, is a group of streets built by Genoese aristocracy in a time when the city was gaining economic and financial power from bankers and traders, that was reflected in urban expansion and the construction of wealthy private residences. They include Strada Nuova, Via Balbi and Via Cairoli, that started in 1550 and continued to be built in 16th and 17th century in Baroque and Renaissance style. They form a unique urban layout, that created the fundamentals of urbanization criterias for wealthy private residences and influenced European city planning up to our days. From the 163 palaces located in Strade Nuove, 42 are included by UNESCO in the World Heritage list. Rubens was so impressed by the splendeur of these buildings, that collected them in a drawing book, to serve as a guide for the design of wealthy houses in Antwerp. This book is a very detailed document for these buildings. 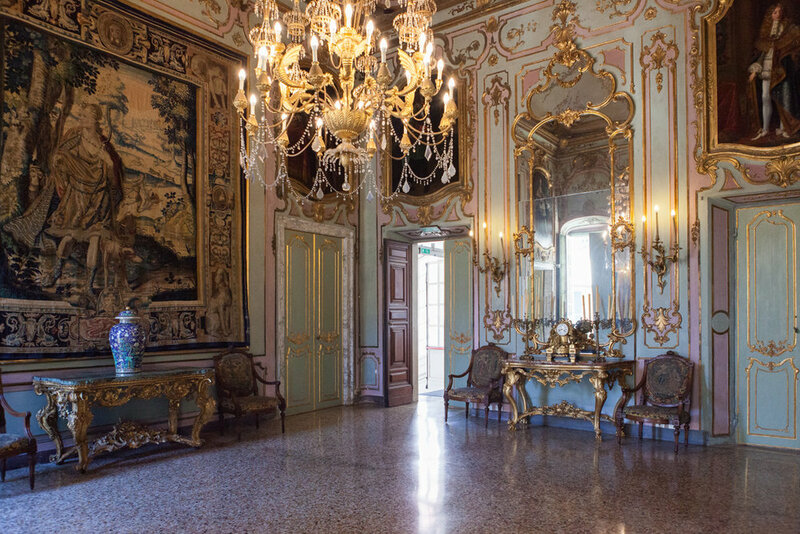 The most splendid of these palaces are included in the system Palazzi Rolli, which is a group of private residences that Genoese nobility made available to royalty during their visits in Genoa. The palaces are still on private property and are home to Town Hall, major banks, shops, public and private agencies. 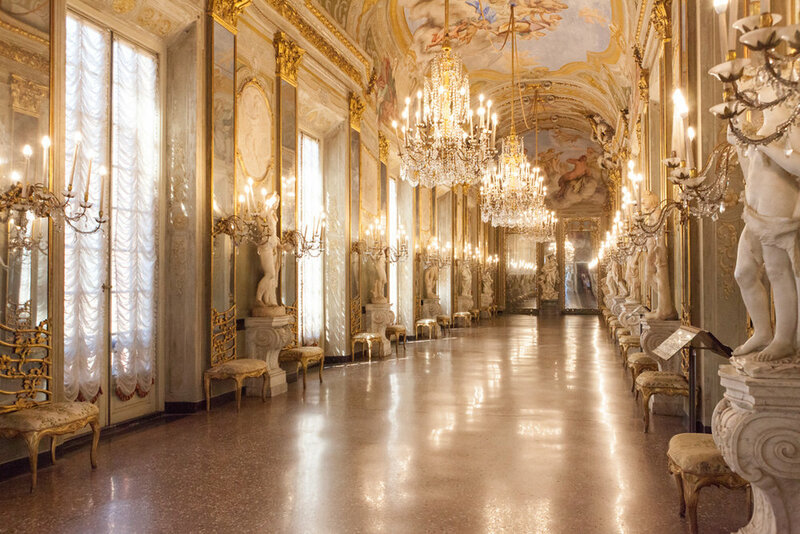 Three of these palaces: Palazzo Bianco, Palazzo Tursi and Palazzo Rosso, are open to the public as art galleries, in a form of one set exhibition route. Palazzo Bianco is the oldest of the buildings in Strada Nuova, built by Luca Grimaldi in 1540, and reconstructed in 18th century in a late Renaissance style by family Brignole. In 1889 the owners donated Palazzo Bianco and Palazzo Rosso to the City Councel to transform it in public museums. The gallery contains many European paintings of 13th till 18th century, among others Caravaggio, Rubens, Van Dyck. In the terrace of Palazzo Rosso there is an adorable view of the city.